We design, prototype, artwork, create and even collate and pack. We aim to deliver all Point of Sale (POS), Point of Purchase (POP) and associated marketing materials at the right time and place, in good condition! We can help you to create designs and prototypes for all types of 3D displays, Point of Purchase (POP) FSDUs, CDU's and dumpbins. Our experienced team of designers and structural cardboard engineers provide an invaluable resource to ensure that the correct materials and construction processes are selected, prior to creating conspicuous designs and working prototypes. Dump bins are a fantastic retail ready solution that gives your product greater prominence in-store. 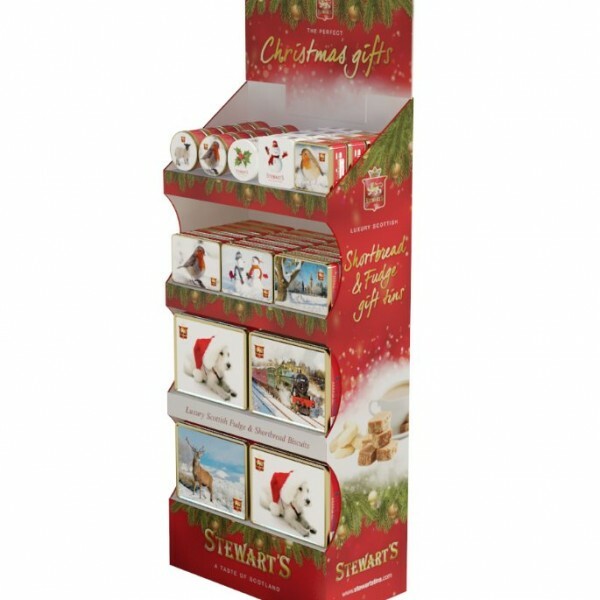 Retail dump bins can be used to help launch a new range of products, promote special offers or encourage impulse buying. With the right structural design and artwork, dump bins can help you increase sales and stand out from the crowd. Our dump bins are made from EB Flute Corrugated board, so able to take heavy items. The Unit can be made in Plain white, or one digitally printed in high res 4 colour print! Here at Kenton we product high quality Christmas themed graphics for window and in store displays. From self cling window messages to posters, FSDUs, counter top displays, cardboard displays, banners and more. 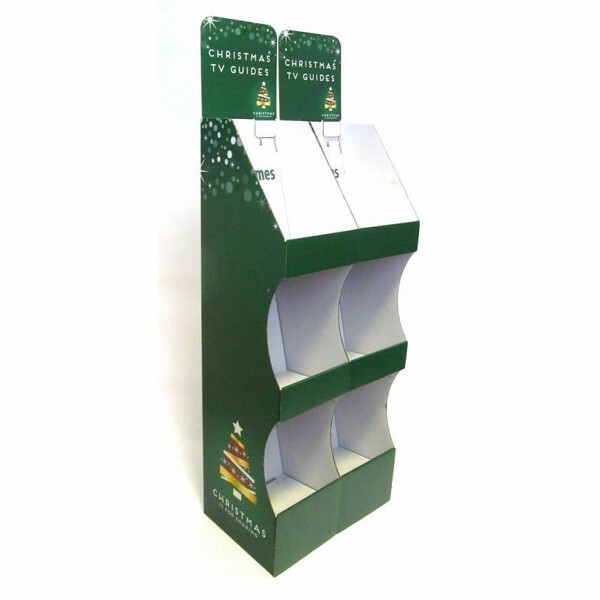 We can provide bespoke Christmas Point Of Sale just for you!